Sand, sand, sand and more sand. Just a little light, contrast and you have a powerfully graphic abstraction. 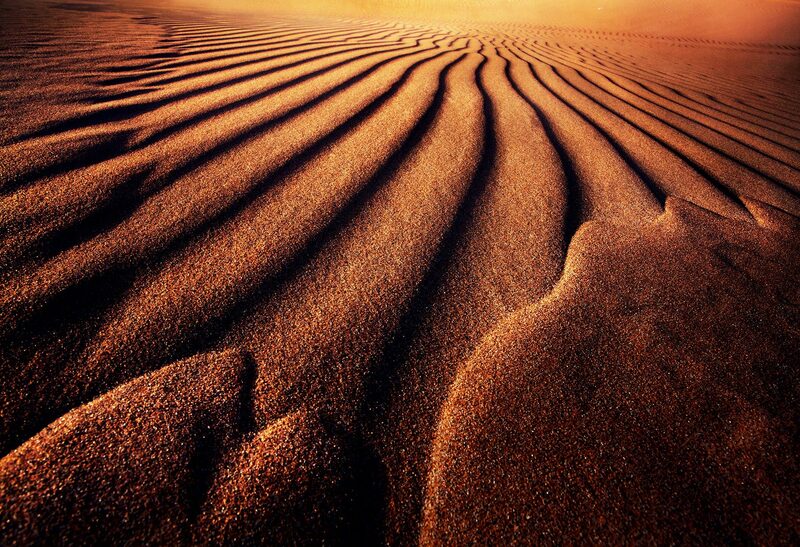 This type of photography is at its best here in the United Arab Emirates. Photo © copyright by Marc Adamus.